Cat's Claw is the common name of a plant Uncaria tomentosa and is constantly researched for its immune system supporting properties. Recommended Daily Intake: 2 capsules twice a day or as directed by a health professional. 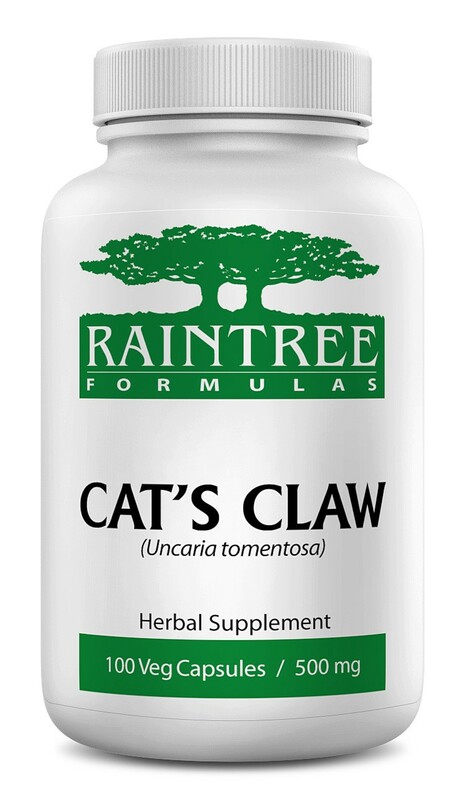 Ingredients: 100% Pure Cat’s Claw (Uncaria tomentosa) Inner bark in a cellulose based capsule shell. 100% natural wild crafted herbs as listed, cultivated without the use of chemicals and pesticides. Vegetable capsule shell. Our formulas contain absolutely no other ingredients, no fillers, binders or flow agents.